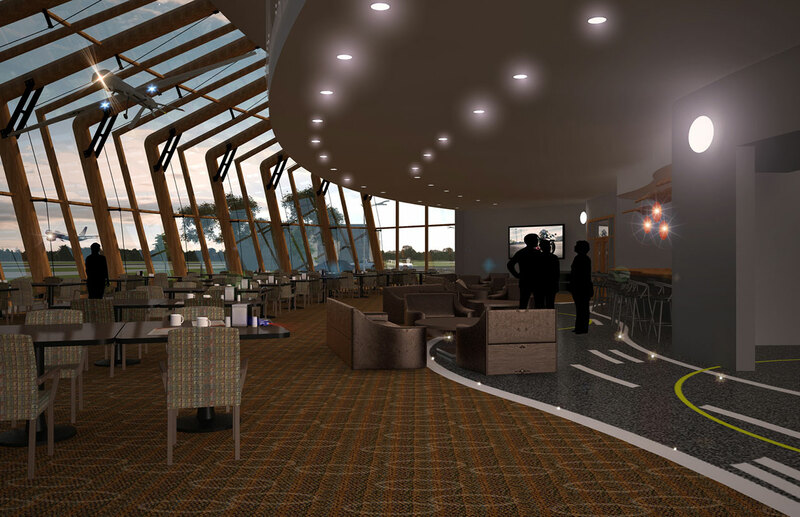 2 levels + basement = 70,000 s.f. 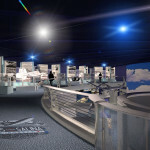 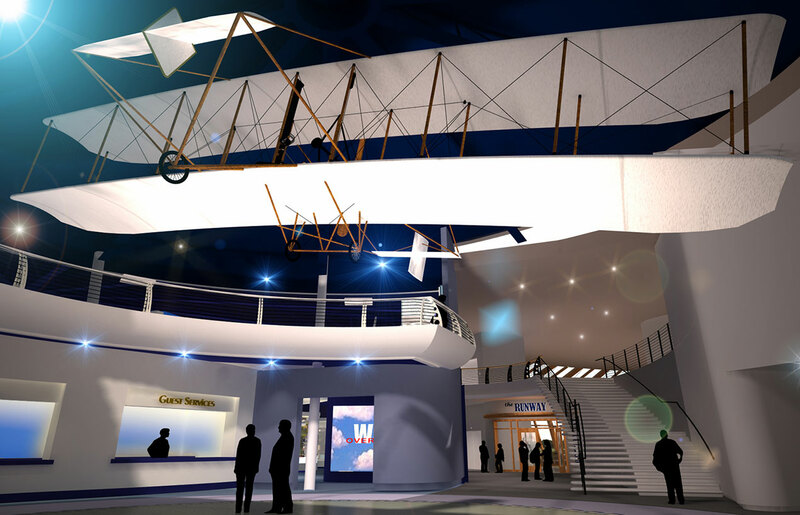 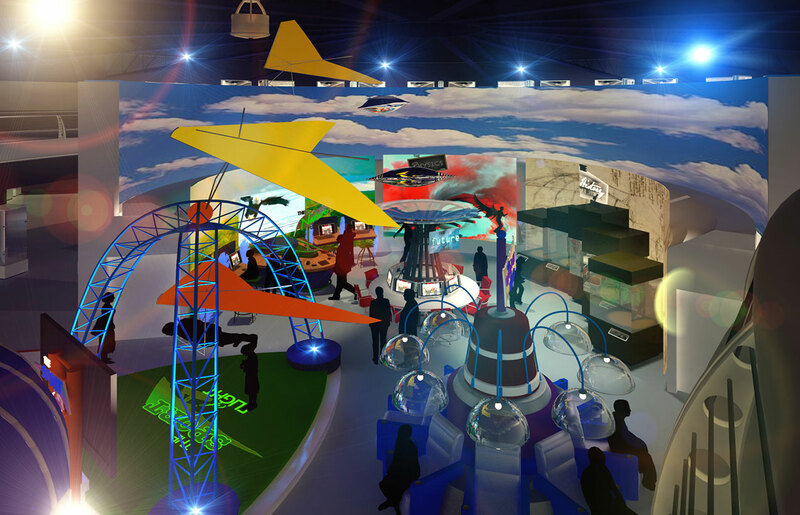 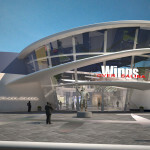 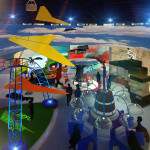 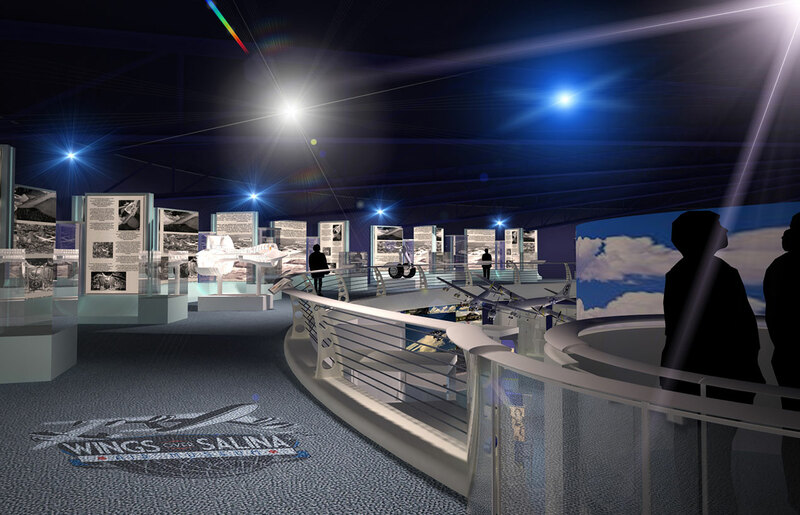 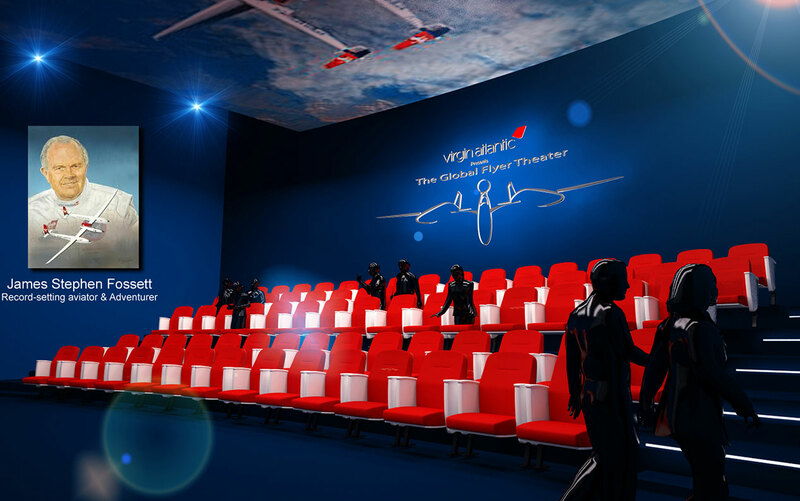 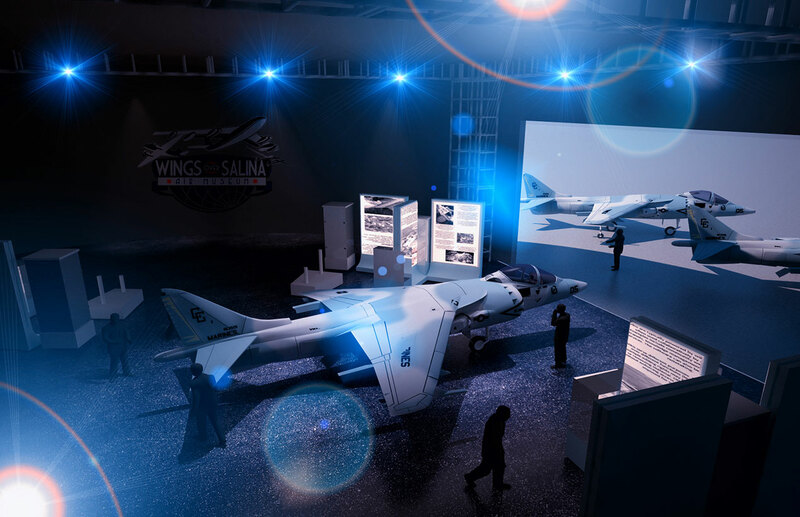 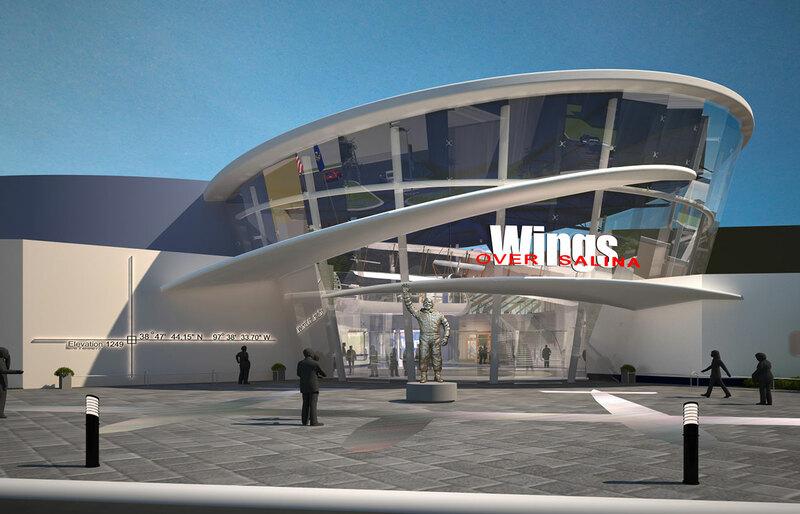 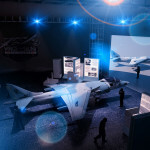 This new museum designed would be a place where people of all ages can experience the notion of flight, and the local community’s important role in the history of aviation. 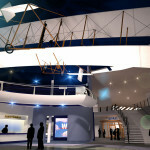 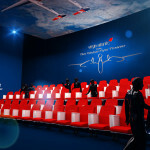 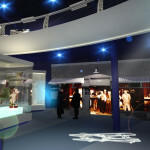 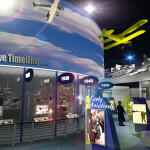 The architecturally dramatic complex presents a hands-on, immersive, interactive, and full-engaging visitor experience. 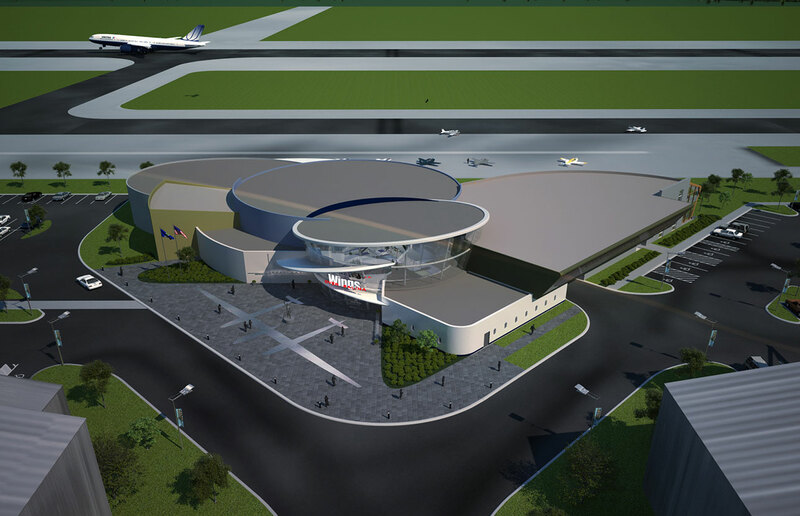 The facility would be located at the center point of the Salina Municipal Airport runway, allowing direct access for arriving pilots and traveling visitors. 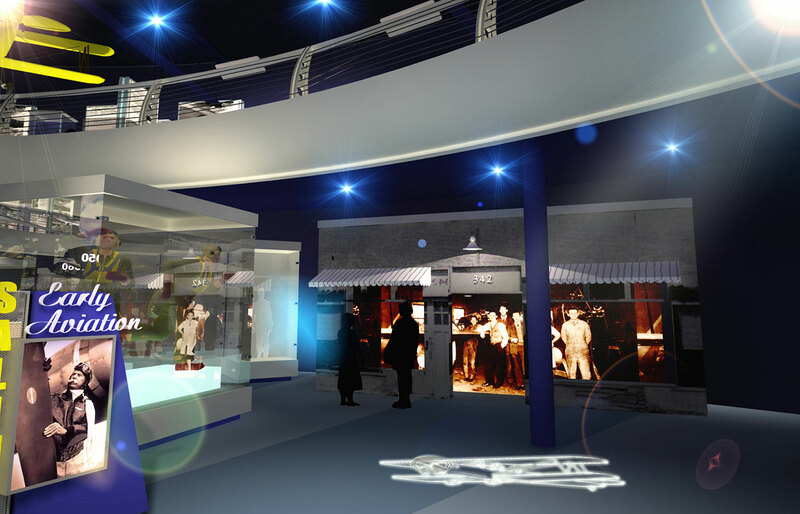 This facility houses a wide variety of exhibit features, theaters, labs and dining experiences. 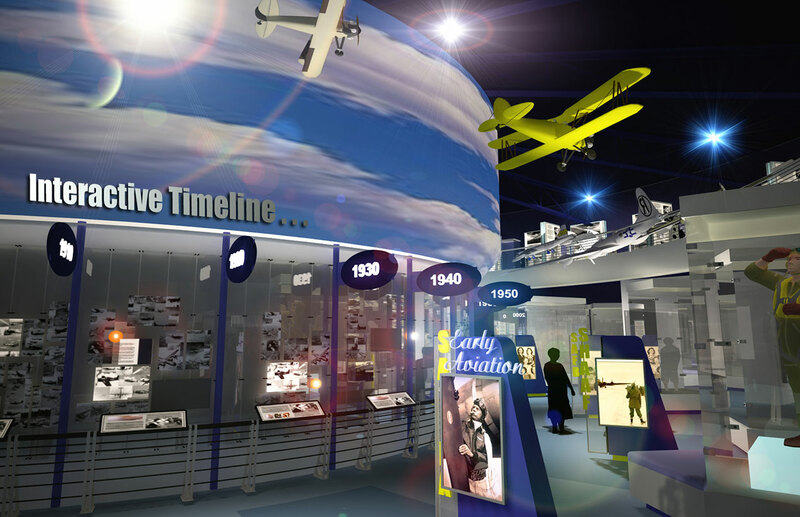 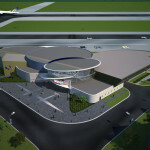 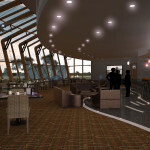 Building Program: Museum including: Lobby with coat closet, ticket office, concessions, gift shop, men’s and women’s restrooms, exhibits, interactive exhibits, theater and attractions hangar; Restaurant with dining, mezzanine dining, banquet facilities, and bar; Administration including: reception and offices.